The "Community" actress cited companies like Fox and UPN for building their brands "on the backs of black people" then tossing them aside. On Wednesday, actress Yvette Nicole Brown called out SheaMoisture for following a familiar pattern of building its brand "on the backs of black people" and then tossing them aside when it went mainstream. Her comments were made on "The Karen Hunter Show," which airs on Sirius XM’s Urban View channel. "Back in the day, the first shows [Fox] had were a lot of black shows, and they built their entire brand on the backs of shows like ‘Living Single’ and ‘In Living Color,’" said Brown, who’s known for her roles in NBC’s "Community" and CBS's "The Odd Couple." "It’s a model that they follow in network television. [They] will build the brand on the backs of black people because there’s not a lot of entertainment for us, and then once they get their numbers up, they throw us aside, and then they make it a white network." Brown noted that Fox isn’t the only network to follow this pattern, citing UPN, the WB and the CW as other examples. She then suggested that SheaMoisture, a brand she has long admired, was following the same pattern. "And so I’m just saying that that’s the model," Brown said. "We’re always the last ones that they cater to. They use us to build, build, build, and then they just toss us aside." Just two days prior, African-American women voiced their displeasure on social media when SheaMoisture, a manufacturer of ethnic beauty products that’s looking to expand its appeal, aired an ad with three white women and one woman of color that much of its customer base found alienating. The message was for women to ignore "hair hate" and to accept their natural hair. "Embrace hair love in every form," the one-minute film said. Vayner Media produced the ad for Sundial Brands, which owns SheaMoisture. On the same day that Brown made her remarks, the marketer issued a public apology, saying "we really f-ed this one up." But the actress still stood by her comments. Brown went on to say that she loved SheaMoisture’s products so much that she wanted to be a brand spokesperson, but no one ever replied to her. 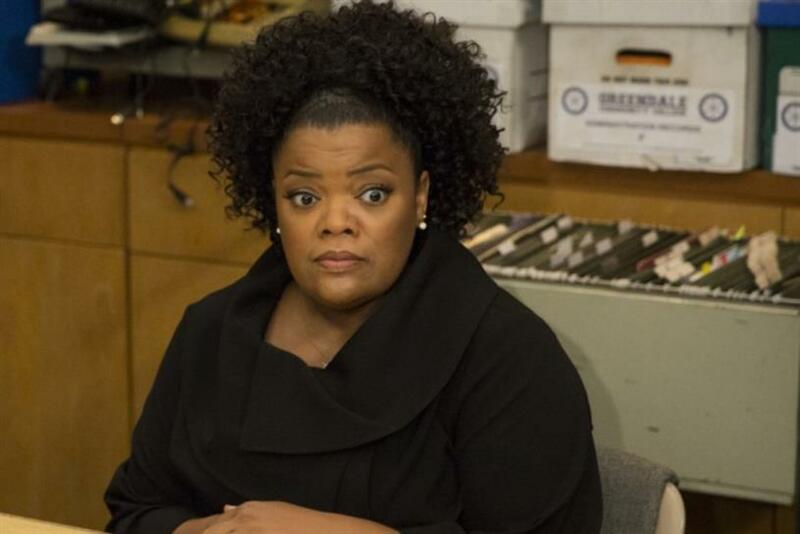 Update: Shortly after this article was published on Friday, April 27, Yvette Nicole Brown used her Twitter feed to express her dissatisfaction with our choice of words to describe her comments. As a result, we have altered the headline. We have asked Ms. Brown to speak with us by phone, but she has declined. Below, we have embedded Ms. Brown’s Twitter comments about this article to provide context for our readers.
.@KatLizWil A misguided article where you attempt to "break down" where I, a black woman, is coming from is frankly part of the problem. @YNB I'm happy to discuss this on the phone when you have a moment. Want to DM me your number? @KatLizWil Naw, I don't need to discuss it with you now. You've already posted the slanted article. You can remove that racist part tho. @YNB I take your concerns seriously, and I would appreciate the opportunity to discuss them with you offline. @KatLizWil please just remove the "racist" comment you attributed to me in your headline and the untruth about the returning of calls. @YNB I'll change that you called them. Your exact quote is that you wrote to them, asking to support them "And I never heard back from anybody." @KatLizWil That is not cool. Fix the issues and we both can move on. I hope you & your editors don't do this again to someone. @YNB Thank you for your thoughts. We will post this thread to the story, so our readers can see them.
.@KatLizWil Those are my quotes, but I never said it was a racist model. Probably not a good idea to add that and attribute it to me. ??
. @KatLizWil One more thing, I never said they hadn't returned my phone calls or emails. I never called or emailed them.
.@KatLizWil Lastly, before you decided you knew the points I was making, you could've reached out for clarity. I'm readily available.
.@KatLizWil Nothing but respect and all that. But damn. ??
. @KatLizWil I stand by my comments about companies catering to black folks to build their brands etc. But life doesn't stop because of that.
.@KatLizWil You also make it seem like I'm butthurt because I wanted to be a brand ambassador and they passed. Um, nope. @clisa_lisa @KatLizWil The dang slanted article caught me so off guard I missed the pic choice in CHARACTER from EIGHT years ago. I just ?? Everything ain't for everybody. And if it ain't FOR you, don't speak on it. #SMDH...REAL hard. So hard I might hurt myself. ?? Those who pray, pray for ya girl. I cannot and will not today. I simply won't. Hey @karenhunter. Please catch up with this bit of fun. ?? Do not EVER ask grown black folks you have not birthed to explain themselves to you. @KatLizWil @YNB The larger question, Kathryn, is why is it easier for you to dispute something rather than attempt to understand? What is your agenda? I hope you're still catching links & screengrabs for your readers @KatLizWil. That new story on this black issue isn't gonna write itself. I majored in journalism in college & ADORE #TheFreePress. For those reasons shoddy journalism annoys me at a level I can't even quantify. I'm so annoyed I'm over here missing typos. Lol! @YNB I write for a marketing magazine, and SheaMoisture was a big marketing story this week, which is why my editors and I chose to pursue it. @YNB Re: "racist." That's fair. How would you define "build the brand on the backs of black people...and then they make it a white network"? @KatLizWil I added an example that everyone in the black community is aware of. You decided I was calling folks racist. YOU did that. @KatLizWil I had a very clear conversation with a black woman about a topic that affects black women and black women ONLY. @KatLizWil Please learn from this. You created this entire debacle and you are asking for explanation from ME?! You think I owe you that? @KatLizWil See? That's the problem. I don't have to explain to you what I meant and I won't. What I KNOW is that I didn't say it was racist. @KatLizWil @YNB Most conscious, smart people (@ynb) would define it as the American way and truth. @KatLizWil @YNB Seems as if you are trying to be relevant on the backs of black perspectives. Perhaps you should either stay in your lane or learn. @KatLizWil @YNB How would you characterize removing shows that built your network and were still getting good ratings? @KatLizWil You and your editors should have reached out to me before writing that article. Please fix the mistakes. @KatLizWil This is a much deeper issue than you understand. You did a disservice to this important issue. A complete disservice. @KatLizWil Further, you crafting an article based on my conversation with another sister about an issue that affects only us is baffling. @KatLizWil You don't know me, what I believe or the history behind my views about this subject. Your take on it all was YOUR take. @KatLizWil & next time ask to speak to someone BEFORE you post an unresearched possibly inflammatory article in this heightened environment. @KatLizWil Yep. And you wrote that my calls and emails were not returned, which I did not say. @KatLizWil Fix the inference YOU made (and attributed to me) and please for the love of God LEARN from this experience. I'm moving on now. @KatLizWil As a black woman I'm used to black issues being "explained" without understanding but you added language that slanted my words. @KatLizWil This is not your issue. You don't understand it. ANY of it. Your flippant article was incorrect and flammatory. That's annoying. @KatLizWil It would be cool if you'd accept that you shouldn't have waded into these waters ESPECIALLY without talking to me first. @banita_s @KatLizWil She never apologized. That wasn't lost on me. Editor's Note: An earlier version of this article incorrectly characterized the means by which Yvette Nicole Brown wrote to SheaMoisture. It has been updated, and we regret the error.